A recent article published by Dan Europe and still viewable on their FB page, I consider to be one of the most valuable pieces of research into an aspect of deep freedive physiology that I have come across in a long time. It concerned genetic markers for a susceptibility to lung squeeze. So we’ve asked you to submit some questions, and in this video Aharon answers those. Huge thanks to all of you, who submited questions! We’ll try to do more of these videos in the future. If you have any question, ideas, suggestions, business propositions – write to us. There have been several incidents, recently, of pulmonary barotraumas and even air embolism connected to the practice of “air packing”. Sufficient incidents are enough to raise concern. 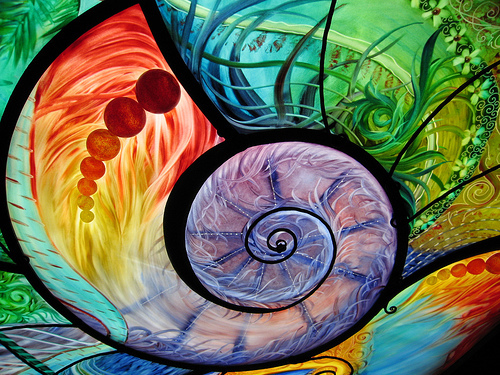 We cannot wait for formal experiments, to determine the degree of risk. This may take years before even a protocol can be designed for tests, we need to act now. At least paying attention, and approaching techniques that have an element of risk with a degree of caution. 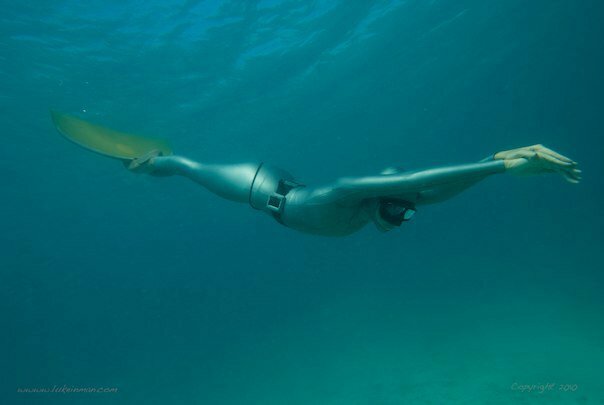 Part of the trouble is that the general freediving public is becoming more aware of techniques practiced by the Elite few, without any awareness of the safety constrictions that they put upon themselves, or without any idea of how long it has taken them to get to their current level of physiological adaptation to this technique. NO was discovered in the 1970’ s in research that was awarded a Nobel Prize. It is a vasodilator, like a natural Viagra, actually exploiting the same pathways in the body. It is a gas that is produced in the Para nasal sinuses in very small quantities. In large quantities it is toxic. It is of extreme interest to freedivers, it improves breath hold and also protects the system being overcome by ROS (free radicals) during blood shift (ischemia and referfusion) during the Ischemic stage phase, where it behaves like a powerfull anti oxidant. I have long speculated that diver exhaustion after a series of extreme deep dives might be due to NO depletion, or the 3rd day exhaustion factor. NO also behaves as an anti inflammatory and is helpful in preventing DCS in freedivers. Erika agreed that this might be an exciting subject for research. 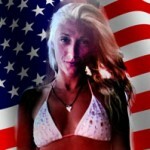 In January 2011 I received an application from a young US woman Delainya Kazarian for a freediving course. One of the first things I do with a new student is explore their personal objectives and expectations and their aquatic history. Delainya was a surfer and was interested in improving her breathold in case she was held down by a big one. But when we discussed her history it emerged that she had been a synchronised swimmer and also a competitive swimmer an excellent pedigree for a freediver ! Just a thought that occurred to me while thinking about athletes I trained for the recent International competition in Greece. Belief is an essential element in mental preparation. Belief is distinct from faith. I remember in one of the first Competitions, in either Sardinia or Nice, an Israeli competitor had a Blackout in a CWT (Constant Weight) dive. When we were analysing together what went wrong, it emerged that during the warm ups before his dive which had been declared at 47mts, he did a warm up to over 40mts. This was an extraordinary lack of belief in himself, he needed to prove to himself NOW that he could do his dive. Two dives with a short interval close to his maximum were not likely to produce a good result! I first met Max and Shlomi training static in Manta’s pool just before a meeting to discuss security for Alon’s 100mts variable weight dive. We talked briefly there and they expressed a desire to do a few training sessions with me before going to the international competitions in Greece. We agreed to focus basically on tactics, and the mental and predive preparation. 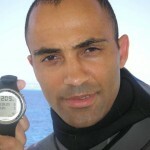 Both Shlomi and Max were new comers to freediving, Max had some equalisation issues to resolve to get to 50mts, and had just received his first monofin, so technique was also an issue. Shlomi was basically struggling with pacing; when to go into the glide, whether to go to a point of non deceleration and glide from lets say 35 mts or to do the 16 kicks 8 strong 8 with less force then a phase of kick and glide, then the pure glide. �Just a look back at my final 12 months in Mexico. 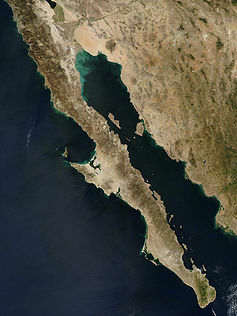 The Freedivers originally came to Mexico to Baja California in 2001 freediving was virtually unknown in Mexico except for a handful of spearos. At first our students came from Europe and the UK, then from everywhere but Mexico but after a few months the word began to spread and 2 guys got in touch with us from Mexico city Armando Torres, a very talented surgeon and internationally known composer, we share a love of classical music and Luis Turrent a lawyer and perhaps Mexico�s top spear fisherman. They did a course with us and in the following weeks we began to grow them, and they became close friends, with our help they founded AIDA Mexico. With further training they began to establish Mexican records and before long there was a Mexican national team that took part in the international competition in Cyprus. Armando and Luis were part of that team. In 2005 we organised the first national competition probably one of the first triple depth competitions. It was the first competition for Manuel Gonzalez who became one of our permanent students and in 2007 he made a Mexican DNF record of 75 mts and in the same year did an easy 47mts Constant No Fins. I couldn’t respond to this terrible news till now, frankly I was too angry . Why Patrick Why? A question we all know the answer to and one that will never be answered. I first met Patrick in Ibiza in the international competition in 2001�. The first thing that impressed me about Patrick was that he talked straight and later I was to learn he was a person of great integrity. Also he was generous as a friend. There was a soft side to Patrick a genuine kindness. A part of Patrick was formed by his martial arts background, a code of honour to use an obsolete word. 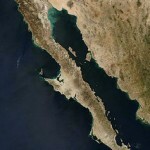 We had on many occasions revolved in the same areas of the world -�Mexico, the Red Sea and as is inevitable in freediving associated with the same people. 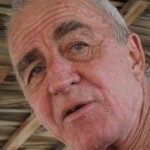 Patrick was a gentleman, and someone who was unafraid to walk his own path, he will be a tremendous loss to freediving. More, I think, than many understand. 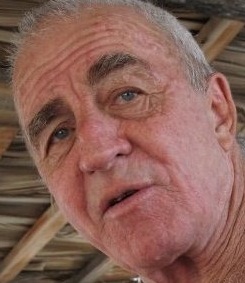 He perfected a technique of equalisation originated by Pipin and he always gave him credit as the originator, he was always modest and gave other people their due. His movie on the �Ancestors�, which in other hands could so easily have turned into a tool for self glorification instead it was an ode to those who went before us into the depths, and thus he let us share the magic and the majesty of our history. I can only express my deep sadness and sympathy for his family, I know nothing we can say can help, but know that there are those around you who loved and respected him. 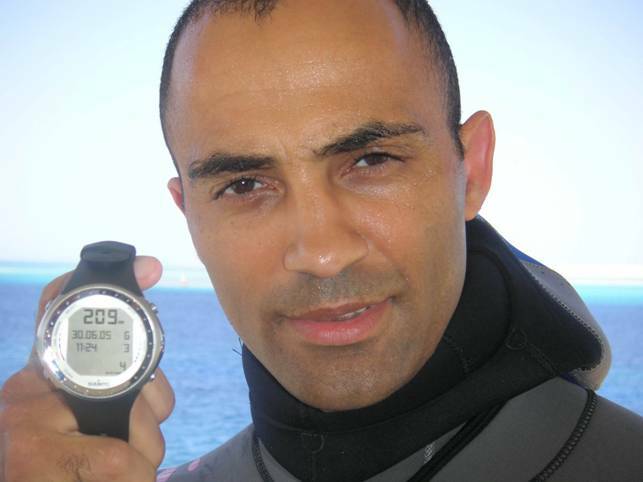 The Freedivers ,Aharon Solomons , are returning to Israel on the 14th June 2011 and will be running Advanced Training for Competitive Freedivers. Aharon will be teaching a program of 4 star AIDA courses. 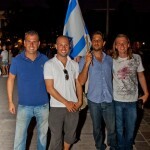 Aharon will also be conducting trouble shooting weekend work shops in all the competitive disciplines . The program is totally focused on individually solving YOUR individual challenges. Mouthfill we have our own very successful technique for teaching this . That we have taught to many national champions we have grown over the last few years. Frenzel and BTV for those still struggling with these techniques. Stretching for the competitive diver. Tactics for the deep diver. How to construct a training program with your own limitations of facilities or available time . The Freedivers will also publish a program for 2 & 3 Star AIDA courses. I want to approach this subject indirectly. I want to walk around it before we get to the center, because I am not sure there is a center. We all know that the ideal attitude, to have before a dive, is relaxed confidence. Without relaxation and confidence little can be achieved. In order to set up the ideal conditions for these vital prerequisites for a deep dive or competition several things have to be in place, if any of these pieces are not in place the dive is already compromised. The counterweight itself of 30kg is actually 2 weights of 15kg each. 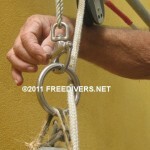 One of the weights is permanently suspended from the bar by a stainless steel ring that allows the weight to travel independantly down the line.It is released in an emergency by a snap shackle. As there are equal weights of 15kg at the end of the dive line and on the other side at the end of the counter weight line, adjustment for depth is easy . 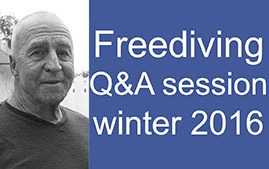 We will be discussing the Mental aspects of freediving, and how it inter-relates with the psychological, and how both together work with the physical. For the basis of discussion here, let us define the Mental as our doing and not doing with the mind so as to set up the most favourable psychological state for approaching a performance.